To learn more about the Manayunk Roxborough Art Center’s artists, MRAC’s Esther Griffin will be talking to several members, learning about their life, their work and their membership of the MRAC. 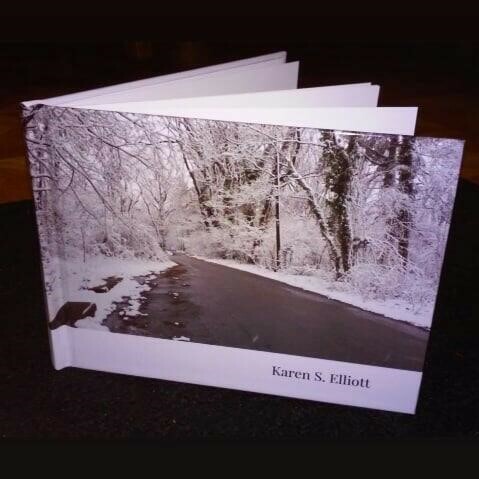 Next up is Karen S. Elliott. Karen has been a long-standing member of the Manayunk Roxborough Art Center and knows like no other how the Art Center can contribute to a sense of community for local artists and art-lovers alike. Karen’s career is very eclectic, the result of her many interests, but it all revolves around one thing: creativity. Karen has her own pop-up show ‘Fall Crafts & Creations’ on Sunday September 23, 2018 from 12 - 3 pm at the MRAC. You are a very versatile artist. What different types of art do you create? I am an art Major and studied art in many forms. I am the writer of 6 published poems, I wrote 2 copyrighted songs, I am a photographer, I studied acting with John Barth and performed in several theatre productions like Fiddler on the Roof and the Sound of Music. I was awarded for a solo performance in singing in New York and was a model with John Robert Powers. I am a hair designer, was awarded the AMBBA award in hair design and I have a cosmetology teaching license. And the list goes on, so yes, you can say I am an artist of many interests. I am mainly inspired by the surface I work on. Whether that is a canvas, a body or a stage. Different surfaces let me create different forms of art and crafts and that fits perfectly with my wide interest in the arts. You are organizing a pop-up show 'Fall Crafts & Creations' on September 23rd. What can people expect of this show? I offer original art that is created by myself: traditional artwork, crafts, jewelry and silk flower arrangements, among others. It is a pleasure to see others choose a piece of artwork that fulfills their desire. How long have you been a MRAC member and what is your role in the organization? I have been a member for over 20 years! Apart from being a participating visual artist, I attend meetings, help out behind the scenes to look after the facilities and I regularly co-host the exhibitions. The MRAC is a wonderful art center to cultivate your inner creativity, at any pace. To create and to inspire the next generation.